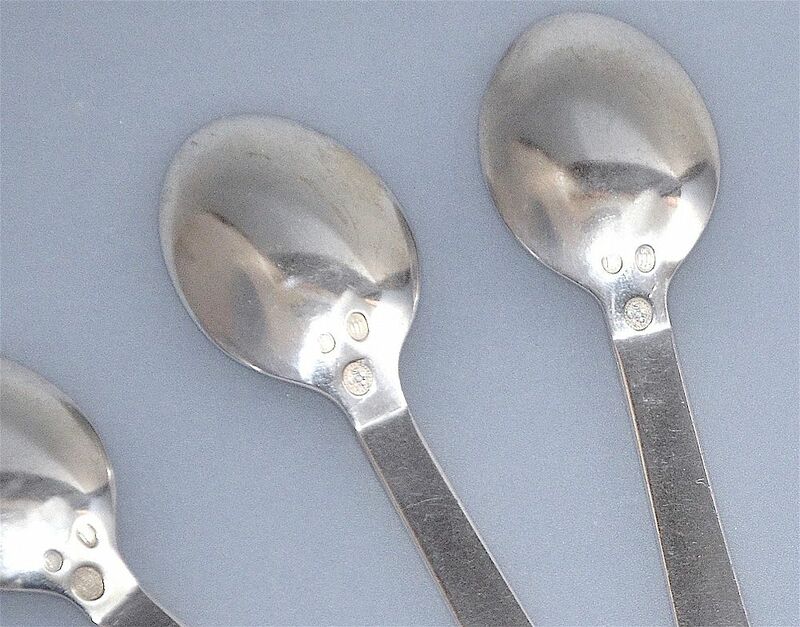 These 6 silver teaspoons are by Georg Jensen and are in the stylish minimal Pyramid pattern designed by Harald Nielsen. 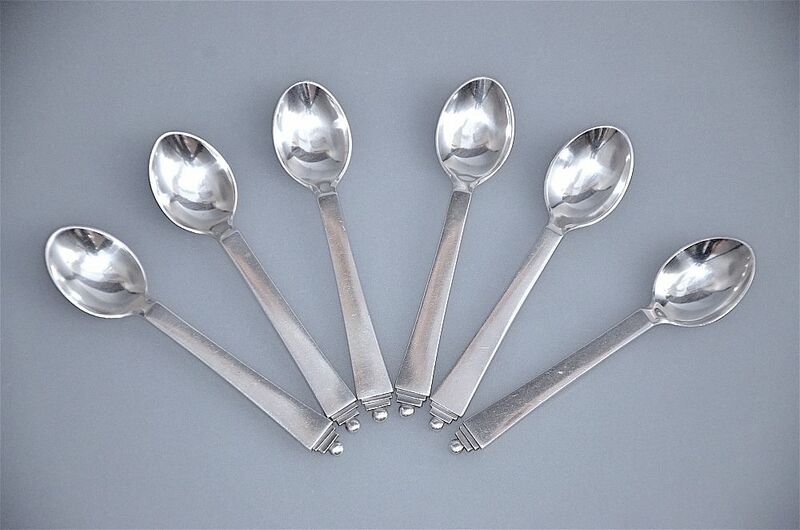 Each spoon has a slightly tapering handle leading to a finial comprised of two graduated silver bars topped by a flat silver disc. The back of each handle is inscribed "SA" and the back of each bowl has the Georg Jensen mark for 1915-1930 namely an upright oval of dots surrounding "GI 830 S" with the "Three Towers" Copenhagen Assay mark impressed in an oval cartouche and the letters "CHF" impressed in an oval cartouche. Nielsen was the brother of Georg Jensen’s third wife Johanne. He was a draughtsman who wanted to be a painter and he joined Georg Jensen in 1909. In the 1920s he designed jewellery flatware & hollowware. After Jensen’s death in 1935 he became the artistic leader of the Georg Jensen Silversmithy.